FRONTIER MARSHAL, starring Randolph Scott as Wyatt Earp, holds an interesting niche in film history. It was the second film 20th Century-Fox based on Stuart Lake's book WYATT EARP: FRONTIER MARSHAL. Just a few years later FRONTIER MARSHAL would be remade yet again...as John Ford's MY DARLING CLEMENTINE (1946), which was reviewed here last May. Directed by Allan Dwan, this film also stars Cesar Romero in an interesting performance as Doc Holliday (spelled Halliday here). The "good" and "bad" women in Holliday's life, played by Cathy Downs and Linda Darnell in the Ford version, are played in this film by Nancy Kelly and Binnie Barnes. Scott, always at home in Westerns, is fine as the calm, confident Earp. Ward Bond, who played Wyatt Earp's brother Morgan in CLEMENTINE, appears in another role early in this movie. While not on a par with CLEMENTINE's visual poetry, FRONTIER MARSHAL is quite an enjoyable film in its own right. The movies are different in many respects, but they also share a number of similar scenes and characters. Moments such as the saloon girl being tossed in a horse trough, the girl from Doc's past looking at a photo in his room, an actor performing in the saloon, or Doc having to do emergency surgery will be quickly recognized by those more familiar with MY DARLING CLEMENTINE. Whereas MY DARLING CLEMENTINE was shot in Monument Valley, portions of FRONTIER MARSHAL were shot in the striking, easily recognizable Alabama Hills outside Lone Pine, California. Nancy Kelly, who is lovely as the woman from Doc's past, deserves a footnote. In 1939, when she was a leading lady at 20th in films such as this and JESSE JAMES, her little brother Jack was a child actor in two notable films at the same studio, THE STORY OF ALEXANDER GRAHAM BELL and John Ford's YOUNG MR. LINCOLN. Nearly two decades later, Jack Kelly starred with James Garner in my all-time favorite TV series, MAVERICK (currently airing Thursday nights on American Life Channel). While most people seem to prefer Garner's better-known Bret Maverick, Kelly's brother Bart was always my favorite. :) Later in life Jack was the mayor of nearby Huntington Beach, California, and I was privileged to meet him on a couple of occasions. He was a friendly, gracious man. The original 1939 New York Times review of FRONTIER MARSHAL can be found here. FRONTIER MARSHAL runs a brief 71 minutes and was shot in black and white. The film does not appear to be currently available on either VHS or DVD. I viewed it on a borrowed video. Hopefully it will turn up on DVD at some point. It's an entertaining Western which is well worth seeing. 2007 Update: FRONTIER MARSHAL is now available as an extra in the Ford at Fox: Essential John Ford DVD Collection. 2012 Update: FRONTIER MARSHAL is now available on DVD-R in the Fox Cinema Archives Collection. October 2015 Update: I had the wonderful chance to see this film at the Lone Pine Film Festival -- followed a few days later by seeing MY DARLING CLEMENTINE (1946) at UCLA. "...he might consider this: In a republic, people decline to be led by leaders who are insufferably full of themselves." "'How's your boy?'" Bush asked, referring to Webb's son, a Marine serving in Iraq. "'I'd like to get them out of Iraq, Mr. President,' Webb responded, echoing a campaign theme. "'That's between me and my boy, Mr. President,' Webb said coldly..."
According to NRO's The Corner and NewsMax, Webb told someone this exchange made him so angry he wanted to "slug" the President. It seems Senator Webb is not only graceless, he's got anger management problems. Just what we need in the United States Senate. A federal air marshal: "If [crew and passengers] are afraid of reporting suspicious individuals out of fear of being labeled a racist or bigot, then terrorists will certainly use those fears to their advantage in future aviation attacks... Instilling politically correct fears into the minds of airline passengers is nothing less than psychological terrorism." I'm still waiting for some "moderate" Muslims to decry the imams' tactics and emphasize the importance of everyone cooperating and behaving in a responsible manner when traveling. Unfortunately, that's not likely to happen. I suspect that moderate or peace-loving Muslims are cowed by the radicals and terrorists and don't dare speak out. According to the Washington Times, "The imams say they were removed from the Phoenix-bound flight because they were praying quietly in the concourse." Gee, I've prayed quietly in an airline concourse on many occasions, and I'm sure I'm not the only one. Yet somehow I've managed to avoid being kicked off an airplane. It seems increasingly clear that the six men were up to no good and, indeed, intent on "psychological terrorism." My husband is flying on business this week. I pray that other airlines will show the same good sense as U.S. Airways if there are further such incidents, and not be afraid of bad press...not only for my husband's sake, for the sake of every person who flies on an airplane. As I wrote last week, there is simply no room for political correctness when it comes to dealing with potential terrorists. Hastings Out as New Intelligence Chairman? It looks as though incoming Speaker Nancy Pelosi has finally realized that she really can't put a former judge who was impeached and convicted in a bribery scandal in charge of the House Intelligence Committee. 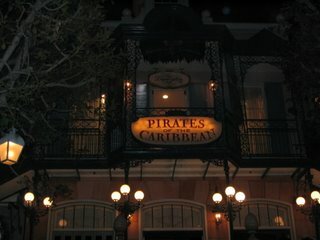 Captain's Quarters has links and further info. A district judge has ruled our nation's paper currency discriminates against the blind because it's all the same size and the blind can't distinguish the differences, so the federal government has been ordered by the judge to make changes. I can't believe I'm not making this up. How did our country ever survive without judges to babysit us and decide such minutia? And how is it we have invested a single person, a judge, with the power to tell so many other people what to do? Today sees the release of several SUPERMAN DVDs, the most interesting of which are a new two-disc Special Edition of SUPERMAN II and SUPERMAN II: THE RICHARD DONNER CUT. As described by the L.A. Times (see subject link), director Richard Donner, who had shot much of SUPERMAN II simultaneously with the original SUPERMAN (1978), was fired from the project before its completion. We now have the best of both worlds available: SUPERMAN II as it was originally released in theaters, and SUPERMAN II as Richard Donner originally envisioned it, including the restoration of Marlon Brando's scenes as Jor-El. Together these DVDs comprise a very interesting piece of film history. Bill Hunt of The Digital Bits explains the differences between the two films in great detail in his review. The Director's Cut disc sounds fascinating. For instance, in order to include a scene between Clark and Lois which was never actually shot for the film, Donner edited together the sequence from Christopher Reeve and Margot Kidder's screen tests. Donner told the L.A. Times: "Something was taken away from me and then I got a chance to go back and make it right, to make it the way I wanted it to be the first time around. How often does that happen in life? It's amazing." I own the previous release of SUPERMAN: THE MOVIE. It had nice extras, including a commentary, so I don't plan to upgrade to the new four-disc Special Edition. Both new releases of SUPERMAN II, however, will soon be on our shelves. The Democrats are already indicating they're not going to be serious about national security. Per Captain's Quarters: "The incoming chair of the House Homeland Security Committee, Bernie Thompson, has sent a letter to a major industrial uniform provider warning it not to terminate hundreds of employees who gave invalid Social Security numbers when hired." Rep. Bennie Thompson's letter warned the employer, Cintas, not to fire its illegal employees, as this would be "potentially discriminatory action." That's right, the real problem here is discrimination. The same thing that the suspicious Muslim imams are complaining about. It seems that some on the left are going to work right along with terrorists and use a new weapon in the war on terror: threatening those who wish to take reasonable steps to protect our country with legal action. Thompson also told Cintas it could be charged with "illegal activities in violation of state and federal law" if it fires those employees with illegal social security numbers. Sometimes this is such a crazy Alice in Wonderland world I'm nearly speechless. The employees broke the law, and so when the employer discovers it and attempts to comply with U.S. law, it's the employer who is threatened with criminal charges? Update: Paul Mirengoff at Power Line: "Alcee Hastings has lost his chance to run the House Intelligence Committee. But when it comes to sketchy, clueless liberals to run important congressional committees, the Democrats have a deep bench." As the story has developed of the Russian spy who was poisoned with nuclear materials -- possibly via a spray -- the thing that keeps nagging at me is what does this mean in terms of future terrorism? Someone got this material into England without detection. What is stopping this from being used in the future as a weapon of mass destruction? A thought-provoking article by Dennis Prager, who says that Muslim Keith Ellison should not be allowed to take his oath of office as a U.S. Representative on the Koran. "...for all of American history, Jews elected to public office have taken their oath on the Bible, even though they do not believe in the New Testament, and the many secular elected officials have not believed in the Old Testament either... Nor has one Mormon official demanded to put his hand on the Book of Mormon. And it is hard to imagine a scientologist being allowed to take his oath of office on a copy of 'Dianetics' by L. Ron Hubbard." Prager concludes: "Ellison's doing so will embolden Islamic extremists and make new ones, as Islamists, rightly or wrongly, see the first sign of the realization of their greatest goal -- the Islamicization of America. "When all elected officials take their oaths of office with their hands on the very same book, they all affirm that some unifying value system underlies American civilization. If Keith Ellison is allowed to change that, he will be doing more damage to the unity of America and to the value system that has formed this country than the terrorists of 9-11. It is hard to believe that this is the legacy most Muslim Americans want to bequeath to America. But if it is, it is not only Europe that is in trouble." I have to admit that when I first read recently about Ellison's plan for the oath, I didn't care for the idea but didn't think much more about it, assuming it was the norm for elected officials to choose how they swear the oath of office. Prager's article, putting Ellison's actions in historic context, gave me a lot to think about. Particularly given how cowed Europe is becoming in dealing with Muslims, I think Prager is on to something. The Koran has become rather symbolic of a large group of people who wish to suppress everything America stands for, and peaceful Muslims aren't raising their voices to stop it. In Ellison we have a man who rejects a unifying symbol, the Bible, previously accepted by those of all faiths for swearing their oaths, and instead demands his own way...while simultaneously agitating to undermine national security. A postscript, Free Republic has an interesting thread developing discussing whether Prager is historically accurate. The Imams: A "Security Probe"? Tuesday's Washington Times: "Muslim religious leaders removed from a Minneapolis flight last week exhibited behavior associated with a security probe by terrorists and were not merely engaged in prayers, according to witnesses, police reports and aviation security officials." The men did several things that in combination raised suspicions, including not sitting in their assigned seats and instead spreading throughout the cabin. It has been previously reported that the men were not obese but requested seat belt extensions. We now learn that a flight attendant says when the men received the extensions, they did not snap them into position, but placed them on the cabin floor. A pilot is quoted as saying "Someone at US Airways made a notably good decision." I'll say. I'd be happy to fly with them in future given how seriously this crew took the odd behavior they witnessed. Saturday Scott Johnson of Power Line wrote about the attempt by the imams and newly elected Minnesota Representative Keith Ellison, a Muslim, to scream "racism" in what might be a deliberate attempt to weaken security in future: "I'm afraid that it's time to scream bloody murder before the flying imams and their friends in high places turn the incident into the means by which citizens are disabled from taking reasonable action to defend themselves from apparent danger." 'Tis the season for one of my favorite things...Christmas music! 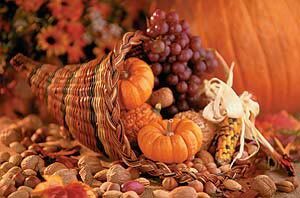 I hope all my readers had a wonderful Thanksgiving weekend. As we begin to gear up for the Advent season, I thought I'd re-post links to my blogging of last December on Christmas music. There are many musical gems linked in these posts. I started off last November 29th writing about one of my all-time favorite Christmas albums, THE GLORIOUS SOUND OF CHRISTMAS with Eugene Ormandy conducting the Philadelphia Orchestra (see subject link). If you own only a couple of Christmas albums, this should be one of them. Bing Crosby was next on my list, and then Dean Martin. Links to what I consider to be their best Christmas albums are included in each post. Amy Grant's wonderful albums were described December 10th, and I closed out the season on December 23rd with a post on some of last year's new additions to our collection, including CDs by LeAnn Rimes, Patty Loveless, Johnny Cash, and Bobby Darin. Last December 26th I picked up a number of new titles in Tower Records' annual half-price Christmas music sale, which I'll be listening to for the first time over the next month. (Alas, there is not likely to be a Christmas sale this year, as Tower Records will soon shut its doors forever.) Among the new-to-me albums on my play list are Diana Krall, the Glenn Miller Orchestra, the Oak Ridge Boys, and the Trapp Family Singers -- an eclectic group! I also recently picked up Dianne Reeves' Christmas album after hearing her sing in GOOD NIGHT, AND GOOD LUCK. Enjoy a wonderful Advent and Christmas season! Beat the Irish! Fight On! I'm just back from dropping off our daughter, who has been home on Thanksgiving break, on campus for the game. There was a sea of cardinal red and gold swarming towards the Coliseum, with batches of green thrown in. 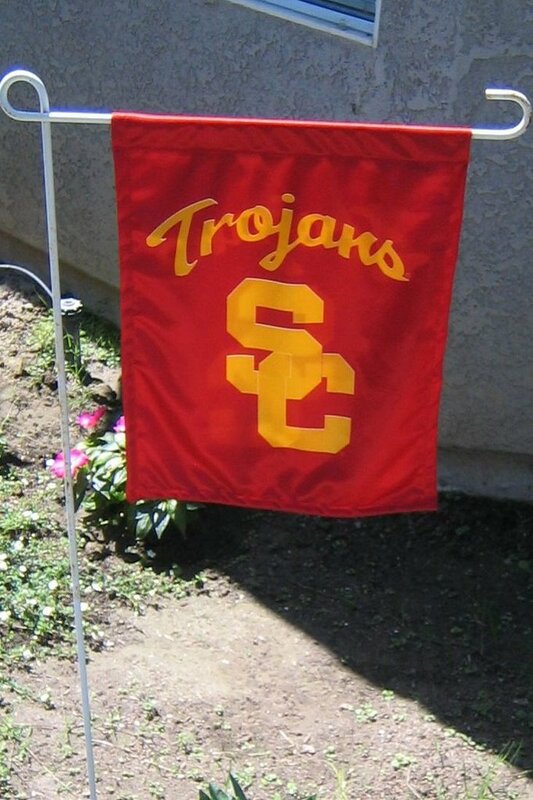 This blog has video of a neat USC tradition: after the third quarter Traveler, the white horse, appears, and the Trojan riding him points his sword at the Coliseum's Olympic torch, which blazes to life for the final quarter. Although it's hard to make out on the video, my daughter tells me the William Tell Overture is playing when this happens. Some movie-related USC trivia: The Trojans' famous "Conquest" march was originally written by Alfred Newman for the 20th Century-Fox film CAPTAIN FROM CASTILE (1947). Newman was a USC alum; there is an Alfred Newman Recital Hall on the campus. Captain Ed is at the big game, but unfortunately he's rooting for the wrong team. The Irish Trojan is sure to have lots of coverage as the day goes on. He's even got a clock on his blog counting down the minutes until kickoff. Update: Final score: USC Trojans 44, Notre Dame Fighting Irish 24. Here's a link to the Conquest march posted by the Irish Trojan. It's a wonderful part of USC football lore, along with their other fight songs. When I was 16 I was fortunate to see A PARTY WITH BETTY COMDEN AND ADOLPH GREEN. That experience was quite a thrill for someone who was a huge fan of MGM musicals. Comden and Green, a creative team for over six decades, wrote the screenplays for two of the greatest musicals ever made, SINGIN' IN THE RAIN and THE BAND WAGON, and also worked on the film adaptation of their Broadway musical ON THE TOWN. Some of their other MGM musical screenplay credits include GOOD NEWS, THE BARKLEYS OF BROADWAY, and IT'S ALWAYS FAIR WEATHER. Adolph Green passed away in 2002. Another obituary can be found at CBS. Musical fans owe Comden and Green a great debt for many, many hours of wonderful entertainment. One of our traditions is that we gift the family with a new DVD on Thanksgiving, which we all sit down together to watch after dinner. Tonight's movie was the Disney/Pixar animated film CARS, which the rest of the family saw last summer but which was new to me. I enjoyed it very much. As a NASCAR fan I got a particular kick out of the race sequences, including appearances by "Darrell Cartrip" and "Junior." I also loved the depiction of Route 66. The souvenir store in Radiator Springs was very much like the store we stopped in in Barstow on our way to the Grand Canyon a couple years ago! The concept of a world in which everything -- even bugs -- is some form of car was unique. CARS runs 116 minutes. It's available on DVD. If, like me, you are late to seeing CARS for the first time, I recommend it. A good time was had by all. WKRP IN CINCINNATI isn't on DVD yet, largely due to expensive music rights issues, but thanks to YouTube you can watch highlights from the funniest Thanksgiving episode in television history. Click at the subject link, and enjoy the funny trip down memory lane. George Strait's new Hallmark Christmas album, FRESH CUT CHRISTMAS, went Platinum in just a week, despite being sold only at Hallmark stores. As a Christmas music aficionado, I own many Hallmark Christmas albums, but this was the first one that I've purchased since 2001's Amy Grant/Vince Gill CD. Hallmark obviously made a choice this year which appealed to a great many people, myself included. Strait's previous Christmas albums are MERRY CHRISTMAS, WHEREVER YOU ARE and MERRY CHRISTMAS STRAIT TO YOU. Both are very enjoyable. Happiest Thanksgiving wishes to all my readers. Robert Speer of Front Page Magazine on the six Muslim imams pulled off the plane in Minnesota this week: "It seems clear that they had no terror plans, but there is a possibility that they were being intentionally provocative." Frankly I think one of the intents may have been to create the exact incident which happened and, via lawsuit, discourage future similar responses by airlines...which would leave us more vulnerable. "In a sane world, officials would tell the imams that if they’re upset about being taken off the plane, they should redouble their anti-terror efforts in the Muslim community in the U.S."
Ann Coulter is typically un-p.c. but accurate: "Six imams removed from a US Airways flight from Minneapolis to Phoenix are calling on Muslims to boycott the airline. If only we could get Muslims to boycott all airlines, we could dispense with airport security altogether." One might say this is unfair to non-terrorist Muslims, but one of the things that troubles me is something Speer alludes to: the deafening silence in most of the Muslim world about the sins being committed against the West in the name of "Allah." Coulter goes on to recite chapter and verse about exactly what was so troubling about this group of Muslims and past connections of terrorists to Minnesota and Arizona. It's rather interesting that the mainstream media continue to ignore the group's disturbing connections, which have been detailed by Speer, Coulter, and Power Line. Brian Stelter of TV Newser, who was profiled last summer by USA Today, is the subject of a story in the New York Times. Fascinating that a college student has the ear of everyone in TV news, and way beyond. Kudos to U.S. Airways for responding to passengers' concerns and removing six Muslim imams from a flight yesterday. The imams were said to have made anti-American statements and chanted "Allah, Allah." According to The New York Times, some of the imams made a strange request for seat-belt extensions, though they were not overweight. This and additional behavior, including the men sitting spread throughout the plane, concerned alert passengers and crew members and the pilot refused to leave until the men were removed. The imams, of course, are screaming racism. Tough luck. Even if their behavior was perfectly innocent, in this day and age there is simply no room for political correctness. As Power Line wrote: "They just can't understand why lots of Americans don't find the sight of a group of Muslim men saying 'Allahu akbar' on an airplane reassuring." Turns out the passengers were correct to be concerned. Although the men were not detained, the leader, Omar Shahin, has ties to terrorist organizations (see subject link). Given that, I'd like to know what the heck Shahin, who is Jordanian, is even doing in the United States. These ladies seem intent with providing political watchers with a soap opera of sorts. No one seems to know very much about what started it...Harman being on TV more often than Pelosi? The pressure of the Congressional Black Caucus on Pelosi? Another member of Congress: "Anyone who underestimates Nancy Pelosi does so at her own risk." Thomas Sowell on "The Washington Meat Grinder"
"The issue is not whether people should be nice to Donald Rumsfeld or even whether history will vindicate him or condemn him. The real issue is whether we can have responsible adult discussions of issues at a time when the fate of this nation hangs in the balance in its most dangerous hour." 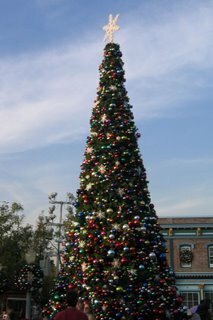 Tuesday, November 21st, will see the release of a Special Edition of MIRACLE ON 34TH STREET. It has previously been released on DVD, but I've been holding off on a purchase in hopes of an edition just like this one, with a commentary track by Maureen O'Hara. Other extras include an AMC BACKSTORY documentary and a 1955 television production starring Teresa Wright, Macdonald Carey, Thomas Mitchell, and Sandy Descher in the Natalie Wood role. I love the way DVDs make TV rareties such as this special available once more. Unfortunately the set includes a disc with the computer-colorized version, but other than that, it's all good. :) Disc Two does contain the original version in beautiful black and white. This film is a Thanksgiving Day tradition for many, inasmuch as the story begins at Macy's Thanksgiving Day parade. I'm posting news of the release a day early in case any readers would like to pick it up for the holiday weekend. If you don't mind waiting a while to receive it, Deep Discount DVD has the best price I've seen online. Tuesday Update: Here's a lovely review of the set from Digitally Obsessed. We're going to find out soon whether the Democrats actually want to be taken seriously when it comes to matters of national security. Many of those who now support Hastings for this post were among those who voted to impeach Hastings. Particularly noteworthy is Rep. John Conyers, who argued for Hastings' conviction in the Senate trial; now Conyers, along with the rest of the Congressional Black Caucus, supports Hastings in his quest to head Intelligence. Perhaps I should be wishing for the Democrats to install Hastings in this position, as it would make a great election issue, but sometimes national security is more important than politics. Unfortunately, it's quite apparent that racial politics and political back-scratching is more important to some members of Congress than national security. 'Tis the season when thoughts turn to baking up scrumptious goodies like Christmas cookies. 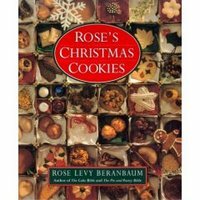 Rose Levy Beranbaum, author of the modern classics THE CAKE BIBLE and THE BREAD BIBLE, wrote an entire volume exclusively on Christmas cookies, which was first published in 1998. This will be the first year I delve into it. My 11-year-old has been going through the pages with Post-its selecting her favorites to try. It's hard to choose! The brand-new magazine from Taste of Home, Best Loved Cookies and Bars, is another visual delight, filled with tempting recipes. It's pricey at $9.99, but this is really a cookbook, not a magazine, and as such the price is well worth it. I found my copy at the local grocery store. Cook's Illustrated also has a special Holiday Baking Issue ($6.99). It doesn't have lovely color photography, but that is more than compensated for by Cook's Illustrated's reliability. I haven't had one of their recipes let me down yet. Although not specifically Christmas baking books, the reissued replica editions of Betty Crocker's COOKY BOOK and COOKBOOK FOR BOYS AND GIRLS have fabulous recipes. The Betty Crocker recipe for Molasses Crinkles, found in each of these books, has been a holiday favorite of mine since I first found it as a little girl in my BETTY CROCKER'S NEW BOYS AND GIRLS COOKBOOK, first published in 1970. I still cook out of that book today. I usually make a double batch of the Molasses Crinkles, dipping half the cookies in sugar prior to baking, and frosting the other half with icing made from powdered sugar, milk, and vanilla. These cookies freeze really well and can thus be made now and saved for Christmas gatherings or gifts. JUNEBUG is a fish-out-of-water story about a worldly Chicago art gallery owner, Madeleine (Embeth Davidtz, recently seen as "McDreamy's" sister Nancy on GREY'S ANATOMY) and her new husband George (Alessandro Nivola) traveling to North Carolina to meet his family. When I began watching the movie, I wasn't quite sure what to make of it. Madeleine takes a detour during their drive to meet with a folk artist who paints disturbing (!) battle images. Her new mother-in-law (Celia Weston) is rude, her brother-in-law (Ben McKenzie) is surly and disturbed, her father-in-law (Scott Wilson) kind but ineffectual. And the camera had an artsy-craftsy habit of lingering too long on empty rooms and beautiful but empty scenery, not to mention the lengthy process of blowing up an air mattress for expected company. What was to love? And then Amy Adams burst onto the screen as Madeleine's talkative, cheerful, lonely, innocent, wise, and very pregant new sister-in-law, Ashley. Ashley initially seems like a goofball, but bit by bit the layers underneath are revealed, climaxing in her final scene. I also loved the moment when Ashley tells her husband "God loves you just the way you are, but He loves you too much to let you stay that way." Adams lit up every scene she was in; her performance made the movie. Her Oscar nomination as Best Supporting Actress was well deserved. Slowly the film began to grow on me. I liked the unquestioning way Madeleine accepted her new family, despite their strange behavior. I also liked the realistically depicted baby shower -- the awkwardness of an uninvited neighbor coming to the door, the prayer for the unborn baby. The surly brother unexpectedly reveals he cares for his wife when he desperately attempts to videotape a show he happens across on a subject he knows interests her. And when Madeleine saw an entirely new and unexpected side of her husband when he beautifully sang a hymn at a church social, I was hooked. The movie is a slow-paced character study which requires patience. The emotional payoffs at the end are subtle but worthwhile. While I think some of the reviews I read when the film came out may have overpraised it, the film is worth seeing and sticks with you after the credits roll. JUNEBUG was filmed on location in Winston-Salem, North Carolina. (I especially enjoyed the peek into Replacements, one of my very favorite Internet companies.) The movie runs 106 minutes. Viewer advisory: JUNEBUG is rated R for language and a couple of sexual situations, including a glimpse of a bare rear end. I didn't find these issues to be too much of a detriment, though I could have done without them; on the positive side, how refreshing to have the couple in question happily married. He could win a general election, but I don't believe he could first get through the Republican primaries. The gentlemen at Power Line are a bit puzzled by the level of hostility many conservatives feel toward John McCain. I'll give you two words why: McCain-Feingold. McCain's lack of regard for free speech is enough to doom him right there. Or how about a couple more words: Gang of 14. McCain is undeniably conservative in certain areas, but he is not reliable or trustworthy. I also have strong concerns about McCain personally. He can be charming, but I also sense there is a lot of anger inside him. I have read any number of stories over the years about him engaging in very "uncharming" behavior which causes me concern. McCain often has a loose tongue (see link in first paragraph) and is quite happy to "diss" the religious right, talk radio, and others who disagree with him on issues, rather than attempting to work constructively with those in his party with whom he disagrees. I think McCain is happier to work with Democrats than he is with some conservatives! I simply would not feel secure having McCain in the Oval Office. John Hinderaker also raises the question of Rudy Giuliani. Rudy is an interesting conundrum. He's a social liberal, and I strongly disagree with his positions on abortion and homosexual marriage, for starters. Rudy has a couple things going for him, being completely reliable when it comes to the war on terror, and a strong record when it comes to "law and order." He also seems to have the right executive and managerial qualities. I can't say at this point that I'd vote for him, but unlike McCain, I would give Giuliani a close look and listen to what he has to say to conservatives, particularly if the alternative were Hillary Clinton. I wonder how Giuliani's judicial picks would be; if the law and order side of him dominated rather than the socially liberal side, they might not be that bad. On the other hand, they could be disastrous. It would be a real gamble. It's a funny thing: McCain might possibly be the one with the more conservative overall track record -- though McCain-Feingold is such a huge negative it offsets his conservatism in other areas -- but Giuliani is the man I feel is more trustworthy. That means something, especially in this day and age. I fail to understand the excitement many conservatives have about Mitt Romney. He does not have a strong conservative record and until 2002 ran as a pro-choice candidate. Bill Frist? No. A nice man, obviously very talented, but not a leader. So who is the answer for Republicans in 2008? Saturday Update: Hugh Hewitt on McCain's attempts to defend the Gang of 14. The USDA has overhauled its decades-old recommendation that turkey be cooked to a temperature of 180 degrees, which kills salmonella but also dries out the bird. The new recommendation is to cook turkey to 165 degrees, which is sufficient to kill bacteria yet will leave the turkey in a moist condition. Today's L.A. Times had a nice section with a variety of ideas for preparing your Thanksgiving turkey. Mark Bittman in the New York Times turns his attention to stuffing. While his suggestions are always worth considering, I can't say I agree with him that stuffing from the bird is a "soggy, unappealing mess" -- I love it! I follow a family recipe for preparing stuffing in a way I don't typically see in cookbooks -- the stuffing from the turkey is mixed in with more stuffing (dressing?) prepared in the oven, which results in the entire mixture having a lot of great turkey flavor. It's all moistened with broth made from simmering the neck and giblets the night before Thanksgiving. The N.Y. Times also ran an article on the perfect pie crust. Hard to believe it's just a week till Thanksgiving! Wasn't it just Halloween? Robert Novak on Nancy Pelosi's backing of John Murtha for Majority Leader. Ms. Pelosi's fellow House Democrats rejected her candidate today, electing Steny Hoyer. Pelosi may have a rough road ahead. BEND OF THE RIVER is a tremendously entertaining Western starring James Stewart. It's one of eight films Stewart made in the '50s with director Anthony Mann. The movie has it all: an engaging performance by Stewart as a former outlaw turned wagon train guide, plus action, romance, comedy, spectacular Oregon scenery, and a deep supporting cast. Stewart's costars are Arthur Kennedy, Julia (later known as Julie) Adams, and Rock Hudson. The many recognizable supporting players in the film include Chubby Johnson, Harry Morgan, Jay C. Flippen, and Frances Bavier (Aunt Bee from THE ANDY GRIFFITH SHOW). I have special memories of Julie Adams. When I was in high school I had a nonspeaking supporting role as a student in a local junior college production of THE PRIME OF MISS JEAN BRODIE. "Miss Adams," as we called her, starred in the play. She was gracious and professional, and I treasure my signed program and the memory of having performed on the same stage with her. She is still acting, appearing this year in WORLD TRADE CENTER and episodes of the TV series LOST. For more photos and biographical information on Julie Adams, look here and here. BEND OF THE RIVER was shot in Technicolor and runs 91 minutes. It's available on DVD and video. The movie is also part of the Turner Classic Movies library. October 2011 Update: I've written a more detailed review of BEND OF THE RIVER in conjunction with seeing it at the Egyptian Theatre with Julie Adams in attendance. Spunky Homeschool points out a disturbing new program in Florida, in which 8th graders will be required to choose from among 80 "majors" and careers. A district spokeswoman said "This is intended to be a career plan to help them better engage in making plans for their future." This seems uncomfortably like educational systems in Europe, which help perpetuate the class system by funneling students into college vs. jobs at an early age. My daughter is a college freshman and is torn between several different areas of study. It's hard enough to narrow one's options when one is college age. How can an 8th grader possibly be expected to choose a so-called major at the age of 12, 13, or 14? And as Spunky points out, certain jobs are not offered as options...want to be a pastor? Not on the list. A school board member in Florida: "As long as we encourage students to think about it and let them know they have choices, and as long as we keep it flexible, I don't think it will do too much damage." That's a disturbingly low goal for a school board -- hoping their program won't "do too much damage"? "Should Government Take a Yardstick to Colleges?" This proposal by Education Secretary Margaret Spellings is just one more sad symptom of the expansion of the nanny state under a Republican administration. The free market works fine when it comes to colleges being held accountable for their "product." The last thing we need is more government intrusiveness, with Uncle Sam tracking (anonymously, we're assured) students' progress through college. Is there nowhere anymore where we're safe from the prying eyes of big government? And I might add, with all the problems prevalent in public schools, why does Spellings also want to take on monitoring colleges? Let the market work. A college which graduates students poorly qualified to succeed will soon be lacking customers. If only we could bring that kind of free market "policing" to our K-12 public schools! Ms. Spellings is approaching these issues exactly backwards. President Bush is nominating a Senator, Mel Martinez, to head the RNC...which means that the head of the RNC will be filled by a part-timer. Somehow I don't think this choice is what the party needs at this point. Don't we need someone fully focused on recapturing control of Congress, rather than a member of the clubby Senate, to head the RNC? Martinez is also somewhat of a divisive figure among the party due to his support for amnesty for illegal immigrants -- which, unfortunately, is in line with the President's views and may be one reason he was named to the post. President Bush passed over Michael Steele, who ran a strong campaign in Maryland and would have been an appealing new face nationally for the Republican Party. Steele was interested in the job. The Democrats are providing their own post-election entertainment, what with Nancy Pelosi choosing John Murtha, who has a questionable ethical background, to head the House Democrats in what she pledges will be the most ethical Congress ever. It will be interesting to see if she chooses Alcee Hastings, who was impeached and convicted of bribery, to head the House Intelligence Committee, in order to win the votes of the Black Caucus. Pelosi apparently has taken a dislike to Jane Harman, who is the ranking Democrat member on the Intelligence Committee and would normally be next in line for the chairmanship. According to last week's New York Times, Harman doesn't intend to relinquish the job without a fight. A former Carter Administration official, Leslie Gelb, said that if Pelosi appoints Hastings over Harman, "A lot of people would be astonished. I think it would send a signal that Democrats are not going to be as serious about national security as they need to be." Pelosi has indicated she may compromise by selecting Silvestre Reyes, a Texan, for the House Intelligence job. MAN IN THE SADDLE is one of Randolph Scott's many Westerns. It's a moderately entertaining movie, though not on a par with the Westerns I've seen thus far in which Scott was directed by Budd Boetticher, SEVEN MEN FROM NOW and THE TALL T.
Scott plays a rancher who loses the woman he loves (Joan Leslie) to a wealthy neighboring rancher (Alexander Knox), who is also wildly jealous and launches a war against Scott in an attempt to drive him away. Scott spends most of the movie battling Knox's henchmen, as well as finding a new love in a resourceful neighbor (Ellen Drew). The supporting cast includes John Russell and Cameron Mitchell, along with Tennessee Ernie Ford as a cowhand. Ford sings the title song. MAN IN THE SADDLE was directed by Andre De Toth. Like many other Randolph Scott Westerns, much of MAN IN THE SADDLE was filmed in the Alabama Hills outside Lone Pine, California. A fight sequence with the combatants sliding down a snowy hill makes particularly effective use of the scenery. (Unfortunately, a number of the scenes are somewhat murky, possibly as a result of "day for night" shooting, which dilutes the ability to fully appreciate the setting.) The creative staging of the climactic gun battle in a windstorm is another of the film's high points. MAN IN THE SADDLE was filmed in color and runs 87 minutes. It's not a top-drawer Western, but it has enough memorable moments to make viewing it worthwhile. This movie is available on DVD and video. Joe Lieberman was clear during his campaign as an Independent that he intended to caucus with the Democrats, but today he left the door open for a move to the Republican Party. I rather doubt Joe would make the switch -- he's very liberal on everything except the War on Terror -- but he's definitely reminding the Democrats who didn't support him that he's in control. Were Lieberman to switch which party he supports, control of the Senate would shift back to the Republicans. Between Joe holding the final key to the Democrats' control of the Senate and Nancy Pelosi announcing she's backing John Murtha for the House Majority Leader over the current Democrat whip, Steny Hoyer...well, it's going to be an interesting two years. This is one place I don't really mind the season coming early, as there is so much to take in during this season that it's hard to do it all in one trip. 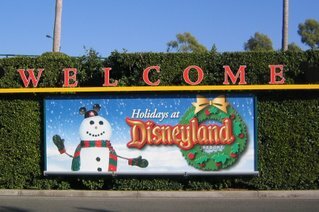 After a nice meal at Pizza Oom Mow Mow and a ride on Soarin' Over California, we headed over to Disneyland. If today is any indicator, the crowds we've seen since the start of the 50th Anniversary celebration aren't going to go away anytime soon. My one criticism of Disneyland at this time of year is that I would really like to see the verboten word Christmas return to the park. 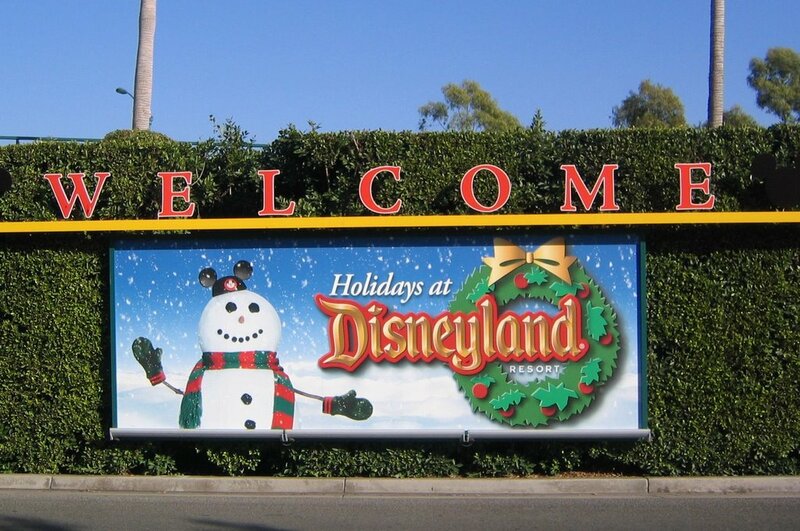 If Wal-Mart can re-embrace Christmas, so can Disney. Hugh Hewitt on the Republicans' missed opportunities. CAROUSEL, THE KING AND I, and SOUTH PACIFIC are all two-disc editions. CAROUSEL also contains the film version of the play LILIOM, which was the inspiration for the musical. THE KING AND I has a fun extra, the 1972 TV pilot for the short-lived series starring Yul Brynner and Samantha Eggar; Eggar provides a commentary. And SOUTH PACIFIC contains both a longer "road show" release as well as the regular theatrical release. All four films contain commentary tracks and other extras. If you missed last year's anniversary releases of OKLAHOMA!, STATE FAIR, and THE SOUND OF MUSIC, you can buy all the titles except FLOWER DRUM SONG in a single boxed set. For more DVD goodness, I recommend visiting The Shelf, which has posted an extensive rundown of other recent exciting DVD releases. Last night was a discouraging night for conservatives, to put it mildly. The possible loss of the Senate is a particular blow, as it will greatly impede President Bush's ability to confirm another Supreme Court justice who will uphold the Constitution rather than legislate from the bench. We've lived under a Democrat President or Democrat Congress before, of course, but not since 9/11. That makes the stakes much more sobering. However, as I posted the other day, "que sera, sera." What's done is done, and now conservatives must buck up and move onward. As John Hinderaker points out (subject link), part of the problem may have been Republicans not acting as conservatives. The Senate's lackadaisical attitude toward confirming judges in recent years is a real lost opportunity. And liberals have won, in part, by attempting to conceal their liberalism. The role of the mainstream media and false advertising (i.e., Michael J. Fox) is also something that bears further evaluation and future strategizing. Republicans lost in 1976, yet went on to unprecedented success under Ronald Reagan. It's time for evaluation, regrouping, and marching forward to win another day. Update: Rush Limbaugh this morning: "Republicans lost last night, conservatism did not." "...we can't completely rule out the possibility of the Democrats still winning the House and having a good night. But there is a big, clear wave breaking the Republicans' way in just about every competitive race coast to coast, and it could mean results very, very different from what the Washington crowd expected." John McIntyre's final projections at Real Clear Politics also give reason to hope. Visit The Truth Laid Bear later in the day for updated race-by-race results. Update: Rumors and rumblings throughout the day can be found at The Corner. If you're looking for a respite from election news this evening, TCM is showing a newly updated version of Peter Bogdanovich's famed 1971 documentary, DIRECTED BY JOHN FORD. The documentary features interviews with John Wayne, James Stewart, and Henry Fonda, as well as Ford himself. I taped this on Beta when it aired on PBS a quarter-century ago. According to the L.A. Times (subject link), the new material includes audio of a conversation between Katharine Hepburn and Ford in his final days. Looking forward to seeing this new version. Ernestine Gilbreth Carey, who cowrote CHEAPER BY THE DOZEN and BELLES ON THEIR TOES with her brother, Frank Gilbreth Jr., has passed away at age 98. More from the AP via the San Jose Mercury News. If you haven't yet met the Gilbreth family in print, I highly recommend these wonderful, very funny books. Remember '04 Exit Polls -- and Vote! The networks plan to begin disseminating exit polling data in their newsrooms at 5:00 p.m. Eastern time Tuesday, which is just 2:00 p.m. in the West. Shortly after that we can count on early poll results leaking to Drudge and the rest of the media. It's important for voters to remember how very wrong the exit polling was in '04. Some reporting of exit polls may also be intended to demoralize conservative voters; similarly, conservatives should not be fooled into skipping voting by optimistic numbers. I remember well turning on Brit Hume and Co. the afternoon of Election Day of '04, and conservative pundits like Barnes and Kristol were sober and filled with doom and gloom. And of course, even on a "fair and balanced" network like Fox, they were wrong. Current polling is simply not a reliable tool, and they are used by some to attempt to manipulate the news. It's critical that Republicans ignore any exit polls, good or bad, and simply VOTE. The polls are swinging in the direction of Republicans as we approach Tuesday's election. Whether it's a genuine shift or the polls finally having hit The Donaldson Line and having to come back to reality to avoid, in Hugh Hewitt's words, "being Zogbied," or a combination of the above, who knows, but it's happening. Jim Geraghty, as always, has all the latest analysis (subject link). Captain's Quarters has more. Earlier today John McIntyre at Real Clear Politics said: "Keep an eye on the Gallup generic ballot number coming out tonight, if it shows movement similar to the ABC/WP poll there could be a big surprise brewing for many people cocooned in Washington." Well, there was movement, to the tune of 6 points. More from McIntyre here. TV pundits are still full of doom and gloom for Republicans, especially the House, while the blogosphere is quite chipper, which brings us back to John Podhoretz's concept of Main Stream Media Time vs. Blog Time. Podhoretz says tonight that we may possibly be seeing the end of polling as we've known it: "If Republicans hang on to the House and Senate, it won't mean that these new polls measured any real change. It will mean, instead, that all the polling in this midterm election was garbage — that, indeed, polling is in a crisis because it can no longer measure anything specific owing to the increasing sophistication and annoyance of Americans dealing with telephone solicitors." More of his thoughts at the link. Dean Barnett, posting at Hugh Hewitt's site, predicts the Republicans will retain control of both the House and the Senate. Barnett, recalling the wildly incorrect exit polling of 2004, believes the polls have been off all along and that elections can no longer be predicted based on past methodology: "I’m officially out on the limb. But I’m comfortable here. The paradigm has shifted. People like Stu Rothenberg are like old generals re-fighting the last war; they’re re-analyzing the last election without realizing that certain key facts on the ground have changed. This will all be much more obvious on Wednesday in retrospect than it is today." And if Rahm Emanuel is nervous, I'm happy. Monday Update: More enthusiasm today from Dean Barnett. Rush Limbaugh made a point today along the lines that even if the past polls were accurate -- which he doesn't believe -- what was their point over the last months if it was all going to change going into Election Day? They were meaningless. The point, of course, was to demoralize Republicans and attempt to drive the news rather than report the news. This weekend I caught James Stewart's CALL NORTHSIDE 777 for the first time. Stewart plays a journalist looking into whether a man was wrongly convicted of murder 11 years previously. The film was based on a true story and filmed in semi-documentary style at many of the actual locations in Illinois. The movie reminded me of another film I recently enjoyed, Richard Widmark's PANIC IN THE STREETS. In each film someone outside the police force is unexpectedly thrust into the role of detective and finds himself hunting for critical witnesses in an unsavory part of town. Each was filmed on location in realistic settings, and each featured non-actors in small roles. The polygraph examiner in CALL NORTHSIDE 777, for instance, plays himself. The movie provides an interesting peek into the time it was made, particularly in its focus on technology such as polygraph testing, miniature cameras, and wire transmittal of photographs. Stewart's wife, played by Helen Walker, smoking in her (twin) bed in the middle of the night was another brief moment particularly reflective of the film's era. James Stewart is always a pleasure to watch, and this film was no exception. He was supported by Lee J. Cobb as his editor and Richard Conte as the convicted murderer. The movie was directed by Henry Hathaway. It was filmed in black and white and has a running time of 111 minutes. CALL NORTHSIDE 777 is available on DVD as No. 2 in the Fox Film Noir series. Extras on the DVD include a commentary track along with a trailer and newsreel about the film's premiere. This film is also available on video; the trailer and premiere newsreel are included on the video. Mark Steyn is such a clever, witty writer, I don't know how he manages to be as prolific as he is. One of his best points: "Whatever he may or may not have intended...what Kerry said fits what too many upscale Dems believe: that America's soldiers are only there because they're too poor and too ill-educated to know any better. That's what they mean when they say 'we support our troops' – they support them as victims, as children, as potential welfare recipients, but they don't support them as warriors, and they don't support the mission." And the conclusion: "The Left still doesn't understand that it's the soldier who guarantees every other profession – the defeatist New York Times journalist, the anti-American college professor, the insurgent-video-of-the-day host at CNN, the hollow, preening blowhard senator. Kerry's gaffe isn't about one maladroit Marie Antoinette of the Senate but a glimpse into the mindset of too many Americans." As always with Mr. Steyn, it's worthwhile to read every paragraph of his column. An anonymous donor has paid 5 million dollars to name the basketball court at USC's new Galen Center after Jim Sterkel, a long-forgotten Trojan player of the '50s. I won't spoil the hows and whys by sharing the details here, but whether you're a sports fan, a USC fan, or none of the above, you'll appreciate this celebration of a "regular guy" who was a good husband, father, and friend. Jim's wife said, "He was such a good husband, such a good man, but do people really notice those things anymore?" They do indeed. The article and Jim Sterkel serve as a reminder for all of us of the theme of IT'S A WONDERFUL LIFE: that while we're here each of us has the power to impact others for good. THE RACKET begins with a classic film noir shot of a car traveling through dark city streets as the opening credits roll. Thus the viewer is plunged into an absorbing crime drama. The film stars Robert Mitchum and Robert Ryan, two actors for whom I have steadily increasing appreciation. Mitchum plays an incorruptible police captain, while Ryan plays Mitchum's nemesis, a slightly deranged gangster. Both men have charisma to spare. Turner Classic Movies' apt review: "Mitchum forever looks like he needs a big cup of black coffee. But he casually burns a hole in the screen... Ryan and Mitchum bounce moments off of each other like old pros; some viewers might even feel that Ryan walks away with the picture." The cast also includes Lizabeth Scott and three actors who would later appear on a couple of TV's most famous crime shows: Ray Collins and William Talman of PERRY MASON and a young William Conrad, the future CANNON. It's a solid, well-crafted film. My only complaint was that one character's doomed end could be anticipated from an early point in the film; less predictability would have been nice. The movie was filmed in black and white and runs 88 minutes. THE RACKET was produced by Howard Hughes and directed by John Cromwell, whose best films included classic weepers such as MADE FOR EACH OTHER and IN NAME ONLY. According to IMDb, Nicholas Ray and Mel Ferrer also had a hand in the film's direction. Hughes was notorious for tinkering with his films, so I'll be curious to learn more about their apparent participation when I listen to the commentary track. THE RACKET is available on DVD as part of the Film Noir Classic Collection, Vol. 3. The commentary is by film noir expert Eddie Muller. (Muller's previous track for FALLEN ANGEL was excellent.) Unusually for a Warner DVD, the film's trailer is not included with the extras, but it can be viewed at TCM's website here. Update: THE RACKET has been reissued on DVD by the Warner Archive. The L.A. Times ran a fascinating article today on the detective work involved putting together this month's SoapNet tribute to GENERAL HOSPITAL'S long-running couple, Luke and Laura. The producers of the upcoming clip show and Thanksgiving marathon had to venture to underground vaults in Pennsylvania to hunt down the original copies of the show's classic episodes. I have more Luke and Laura (and Robert, Anna, Frisco and Felicia) episodes on Beta videotape than I would probably care to admit (grin), but I don't have the earliest episodes, which predate my first VCR, acquired in the summer of 1980. I've about convinced myself to order the digital cable package which includes SoapNet, at least for this month, so I can record their Thanksgiving Day L&L nostalgia festival. My favorite Luke and Laura episodes: Laura's first "return from the dead" in the fall of 1983. That storyline remains among my fondest TV viewing memories. For more memories of Luke and Laura, see my previous post. A good read on one of our best conservative senators. The names Drew Casper and Richard Jewell may not be well known to the general public, but any fan of classic movies on DVD probably knows these gentlemen due to their steady participation in documentaries and commentaries. Just last night I saw Casper in the featurette on my newly arrived copy of CAT ON A HOT TIN ROOF. Casper and Jewell are both cinema professors at USC, where my daughter is fortunate to be taking Casper's highly regarded "Introduction to Cinema" class this semester. USC has posted on its website a very interesting article on Casper, Jewell, and another professor, Todd Boyd, whose commentary work I haven't yet heard. If you love watching DVD extras, you will enjoy reading this piece. These gentlemen, along with other favorites like Rudy Behlmer and Jeanine Basinger, add so much to the DVD experience, providing viewers with "film school in a box." As Jewell says, their DVD work has historic value. I certainly hope that their concerns about the commentary format and extras not surviving in a future age of downloading come to naught. A superb piece by Hugh Hewitt on the MSM coverage of the Kerry debacle. Many in the media have attempted to defend Kerry, insisting he didn't say what he said and had not insulted the military. And you've got to love Mark Halperin of ABC News telling Hugh Hewitt the other day that members of the military weren't "necessarily the best arbiters" of Kerry's sense of humor. In Halperin's eyes, the Washington elites and media members can figure out what Kerry meant, but not those he criticized. Guess Halperin thinks members of the military are dumb, too. Like Hugh, my traffic was way up yesterday. Everything's relative (Hugh's traffic was over 125,000 Wednesday!) but it was obvious to me as well, at this small blog, that the blogosphere was buzzing Wednesday. Yet while the story was humming on the Internet and talk radio, the old media treated it quite differently. While the New York Post ran the now-famous photo rebuttal from the Minnesota National Guard on their front cover, I wonder how many papers ignored the photo? It certainly wasn't on the front page of the L.A. Times today -- nor was it on Page A15, where the Times buried the details of the Kerry story which led to record Internet traffic. One more example of an "industry willing its own destruction," to slightly paraphrase Hewitt. Page A15?! On Page A1 the Times featured a more generic article on "foot in mouth itis" which gave the paper a chance to slam George Allen in Paragraphs 2 and 3. The paper had their page priorities completely reversed; the Page 1 story was the "sidebar" which should have run on the inside of the paper, while the story from A15 was the real "news." Power Line has more on that great photo, including a letter from the father of a young lady who is in the photo. As Hewitt wrote, "Ridicule is the best revenge." Thursday Afternoon Update: Don't miss this piece by Patterico, in which he points out that the New York Times not only buried the story, they flat out lied about what Kerry said. The relatively short-lived but highly regarded, fondly remembered TV series BEAUTY AND THE BEAST is coming to DVD next February. 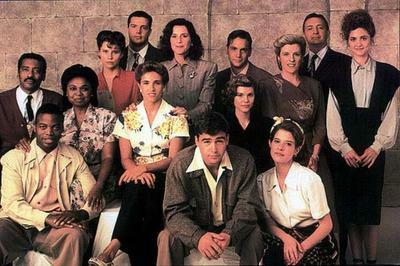 The show, which aired from 1987 to 1990, starred Linda Hamilton, Ron Perlman, Roy Dotrice, and the late Edward Albert. If BEAUTY AND THE BEAST is coming to DVD, perhaps there is hope for HOMEFRONT, which has many fans eagerly waiting for its release on DVD. If HOMEFRONT leading man Kyle Chandler's new show FRIDAY NIGHT LIGHTS catches on, perhaps that will increase the chances of a HOMEFRONT release. If you're one of those longing to see HOMEFRONT again, you can go to Homefront on DVD and sign the petition. Senator Kerry's press release today, in part: "I sincerely regret that my words were misinterpreted to wrongly imply anything negative about those in uniform, and I personally apologize to any service member, family member, or American who was offended." Once again, it's the fault of those who "misinterpreted" the actual words he said and are "wrongly implying" the meaning of his words. There's no "implying" about it. As Michael Barone said on TV last night: "The words say what they said." Incidentally, how could the "joke" be about President Bush being poorly educated, anyway? The man has a Harvard MBA on top of his Yale degree. And what's funny is Kerry's own college grades were pretty poor, even taking into account modern-day college grade inflation. Kerry's attempted excuse makes no sense even if taken at face value. Kerry needs to quit blaming others and apologize for his actual statement. Recently I posted about the scary prospect of Nancy Pelosi choosing Alcee Hastings to head the House Intelligence Committee in the event of a Democrat takeover of the House. Hastings was convicted of bribery and removed from serving as a federal judge. Ruth Marcus has written a column along similar lines, questioning what such a choice will say about Pelosi and the Democratic Party: "This was no ordinary crime, and Intelligence is no ordinary committee." It's bad enough Hastings is actually on the intelligence committee. Choosing Hastings, who has participated in bribery, as its chair will prove one more time that most Democrats don't take national security seriously in this post 9/11 world. You've got to see the photo now making the rounds. It's at Michelle Malkin's site (linked above) and is also up at Drudge and Free Republic. A real sense of humor...priceless. Further Update: Power Line has more on the photo. Some of those soldiers in the picture are from the Minnesota National Guard. Power Line quotes Victor Davis Hanson: "One of the things I love about America is the spontaneous brilliance and humor that undermine all pretension. No better example was that wonderful banner from our brave and ingenious soldiers in Iraq... 20 million Americans must have seen it all over the Internet, and nothing sums up the nothingness of Kerryism better than those smiling soldiers."